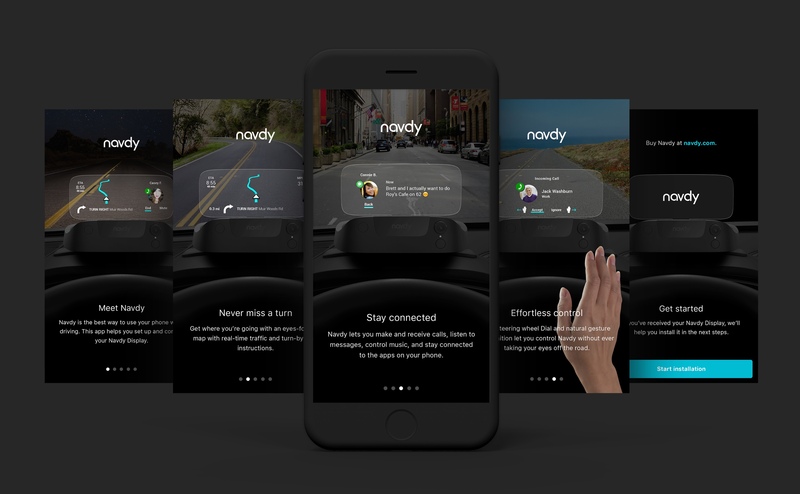 Navdy has a unique position in the market being the first of it’s kind as a fully featured heads up display connecting your car to your phone. Our mobile apps are a part of the interface between your Navdy and it’s connection to your car and the internet. Because of this, when someone downloads the Navdy app, we want to provide them with an engaging overview of the features of Navdy. We wanted to communicate the features of Navdy by showing them on the display and in a car. By swiping from screen you screen you can learn about a feature as well as see it in action in different environments. It was important to keep the road and horizon in the same vertical space on each screen. My initial concept was first created using Flinto. With this I was able to prove my concept and share it with the team. The final result show below ended up better than the prototype. With input from the engineering team, I was able to test and iterate quickly.